When it comes to the future of Greenland’s economy, there are two things lawmakers in Nuuk and in Copenhagen can agree on. The first is that Greenland must diversify its economy. Currently, some 50 percent of its economic activity is related to fishing. Greenlandic lawmakers, concerned that this leaves the country vulnerable to price declines or stock collapses, have identified tourism, mining and entrepreneurialism as additional pillars of a stable economy. There is also widespread agreement that, in order for these areas to grow, something must be done about Greenland’s airport infrastructure, which currently requires a series of expensive and often-delayed connections before travelers can reach their final destinations. “If we don’t expand our airports, I have a hard time seeing how we are going to make money,” said Palle Jerimiassen, the mayor of Avannaata, the district that includes Ilulissat, the country’s main tourism destination. His sentiment is typical. Kalaallit Airports, a nationally controlled firm, was set up in 2016 to refurbish the airports in Ilulissat and Nuuk, the capital, and to build a new airport in Qaqortoq, near the island’s southern tip, that could serve as a regional hub. Should those plans pan out, it would be possible to fly directly from abroad to Greenland’s two main destinations. Currently, the vast majority of passengers must transfer at the airport in Kangerlussuaq, which is its only airport with a runway long enough to accommodate large passenger jets. 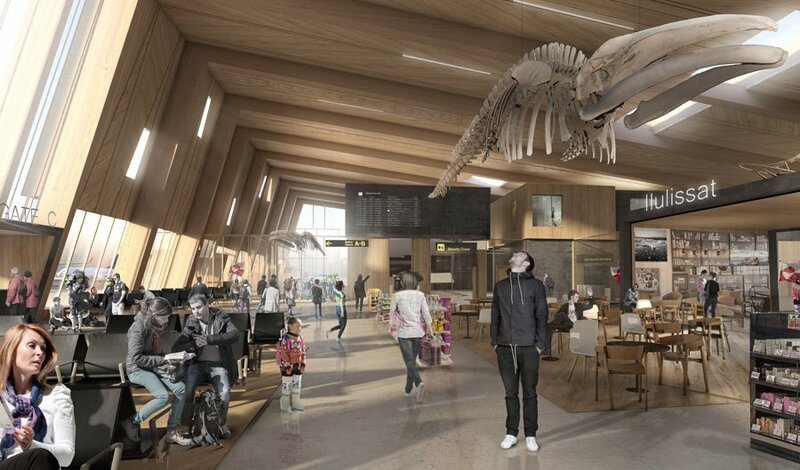 There’s much more debate about the details of planned airport improvements that, at a projected cost of 4 billion kroner (about $630 million; an amount roughly equal to 20 percent of Greenland’s GDP) will be the largest infrastructure investment in the country’s history. Half of the money will come from public finances. Where the other half of the money will come from has yet to be identified. Kalaallit Airports expects to have reached deals on the necessary funding by December. Its preferred investor profile is a private backer from North America or Europe, although the firm is willing look further afield, or to accept public funding, should it be necessary. “We haven’t closed any gates yet,” a company representative said earlier this year. Copenhagen has repeatedly — and unsuccessfully — offered to pony up with some of the funding, and, in so doing, provide what it says is a measure of certainty for a project that — succeed or fail — will have a “long-term and irreversible” impact on Greenland, according to a report published by an economics watchdog group last week. That Nuuk has spurned Copenhagen’s offers has, perhaps less to do with its confidence that it can finance the projects on its own than it does with suspicions that the money is mainly meant as a way to crowd out potential Chinese investment. Copenhagen has long been suspected of trying to limit Chinese involvement in Greenland’s development, particularly in areas deemed of interest to national security. In April, these fears appeared to be confirmed when Reuters, citing “a high-ranking official” in the Foreign Ministry, reported that the Danes were “deeply concerned” about Nuuk’s decision to permit Chinese firms to bid on the airport construction. In part this was because the Danes worried it would threaten Denmark’s relationship with the U.S., which maintains a military presence on the island. On Friday, Claus Hjort Frederiksen, the Danish defense minister, confirmed that Washington would rather not see Chinese firms granted the contract. After meeting with Jim Mattis, the U.S. defense secretary, Frederiksen told the media that this was because the Pentagon viewed potential Chinese involvement in the airport construction as the first step in the country establishing a military presence there. After discussing the matter Monday, Inatsisartut, the national assembly, agreed to vote this autumn on whether to give its final approval to the airport construction. When it comes to the surrounding issues, everyone else appears already to have made up their minds.